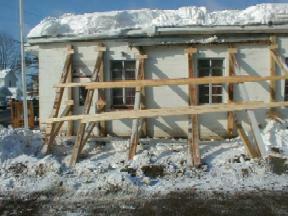 The strength of Nothern Wayne Fire Company once again tested when they responded to a report of a structural collapse. The location: their fire station. 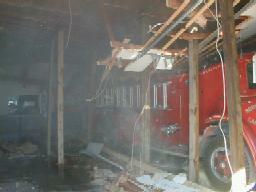 Inside all five piece of apparatus owned by the deparment were trapped under a roof that gave way to over four feet of snow. After a tough first day, a plan was developed after consultation with a structual engineer on how to approach the apparatus rescue. 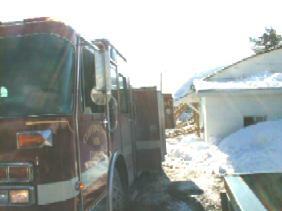 Rescue 18 took a lead role once inside the building. 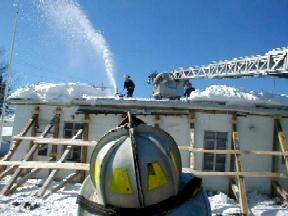 Snow is removed from the roof of the structure with snowblowers with personnel secures to tower ladder from Hancock NY. The incident command system was utilized to manage the incident.